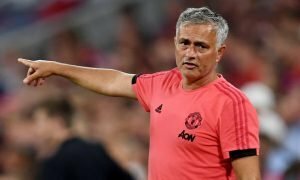 Man United bosses confident of landing sensational January signing | The Transfer Tavern | Where football transfer rumours fly or die! Manchester United fans in the Transfer Tavern have been gathering quietly in recent weeks, not willing to make a racket as they endure more frustrations under Louis Van Gaal. However, there is some reason for optimism as The Sun states Manchester United officials are confident they can land James Rodriguez from Real Madrid, in what would be one of the most sensational Premier League captures in recent years. The Red Devils are desperate to land a big name in the January transfer window as they look to save their faltering season, which has seen Van Gaal’s methods thrown into controversy as the Dutch manager fails to get the best from his side. Fans in the bar have been reluctant to hand Van Gaal further money to spend in the market, as he has already spent £250m since taking over at Old Trafford, but they believe the arrival of James Rodriguez would be the most spectacular deal in recent years. 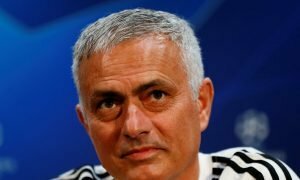 Rodriguez is frustrated in the Spanish capital as first-team football under Rafael Benitez due to immense competition and may be keen on an exit. United fans, can you genuinely land James Rodriguez? Let us know in the comments below!